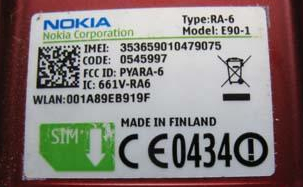 Nokia has manufactured its last handset in Finland. Come September, the struggling cellphone maker will shutter its Salo, Finland, handset factory as part of its global overhaul intended to save €1.6 billion by the end of 2013. Nokia’s Salo facility is the company’s last remaining manufacturing plant in its home country. It produced its final handset last Wednesday. Sad news for Finland and the 780 Salo residents who are losing their jobs, but a necessary move for Nokia, which is in the midst of a difficult transition to a Windows-based smartphone business. The company is shifting handset assembly to its factories in Asia, where the majority of its component suppliers are based. And by doing so, Nokia expects not only to cut costs, but to bolster its long-term competitive strength. Nokia did not respond to a request for comment.